It is a pleasure sharing a few words about my lovely daughter. Name Visible on Login is an attractive young girl with grace, poise and humility. She has an impeccable demeanour to compliment her wit. She is creative, hard working, amiable and endowed with a flair for languages of which she can speak fluently in English, Hindi and Bengali. She has an enormous risk taking ability, nurses high aspirations and is open to relocation. Committed in her professional and personal spheres, she manages both the responsibilities with equal ease and aplomb. She enjoys cooking, though household work is not exactly her forte. She has a penchant for music and reading. Born and raised in Kolkata, she studied at GD Birla Centre For Education, Kolkata. Her strengths are English and Mathematics. Thereafter, she completed her B. Sc (Statistics Honours) from Lady Brabourne College, Kolkata, and MBA (Communication Management) from Symbiosis, Pune. 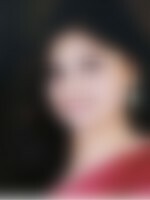 Presently she works as a Business Manager with an... more MNC in Mumbai. We are natives of West Bengal. I have done BE (Electrical) from Bengal Engineering College (Shibpur) now known as IIEST. I have recently retired as an AVP from an MNC. My wife is a homemaker and an only child of a deceased medical practitioner. Our younger son is a qualified lawyer, graduated from National Law School, Gujarat and presently practicing Civil and Corporate law in Calcutta High Court. Extended family: Out of all grandparents, only maternal grandmother is alive. I have two elder sisters out of which one is unmarried and is staying with us. My other sister is a US citizen and a retired Principal of a middle school in the US. Her sons are Stanford and Columbia graduates, one of them stays in Manhattan (New York) and the other is in Burlingame (San Francisco). Both of them are married. We would prefer an ambitious match whom she can complement professionally and mentally. Someone who is proficient in English, values family life and respects elders would be an ideal match for Name Visible on Login. Thank you for your valuable time, and if you wish to take things forward, then you are most welcome to contact us. We come from an upper middle class, nuclear family with moderate values. Our family lives in Kolkata, India. Her father has retired while her mother is a homemaker. She has 1 brother.